Bonnie Lecat isn’t just talking the talk, she’s also walking it. She’s both teaching on Skillshare and selling art on Etsy. Through her Skillshare course, she’s helping other sellers who are either struggling to make sales in their existing shops or who don’t know how to set up an Etsy shop overcome the hurdles they are facing. 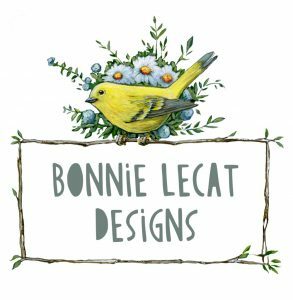 Bonnie sells her inspirational artwork, signs, and personalized in both her Etsy shop – Bonnie Lecat – as well as on her website – BonnieLecatDesigns.com. She’s a teacher, designer, and artist and she’s journeyed from art director, to illustrator, to graphic designer and now creative entrepreneur, and she shares the story her journey with me in our convo this week.